Does the PERFECT Yearling Exist ? Yes he does and at the 2019 Inglis Classic yearling sale we have purchased him ! You may be lucky enough one day to find one as good but ….. you’ll never be able to find one that’s better ! He’s an EQUINE ADONIS by Arrowfield Stud’s Boom New Sire SCISSOR KICK (one of the best looking sire’s in Australia) - a son of Redoute’s Choice. 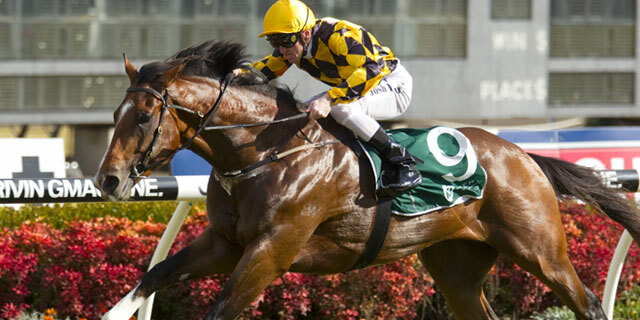 SCISSOR KICK won 4 races - 1 at 2 - and 3 in succession - 1200m to 1300m and $534,075 including the ATC Up & Coming S., Gr3, Eskimo Prince S., Gr3, Rosebud H., LT More Than Ready 2yo H., 2nd ATC Golden Rose Gr1, Stan Fox Gr2, 4th All Aged Stakes Gr1. Our Colt is from the quality mare MISS BAX (by Canny Lad) – a winner of 2 races at 1200m – 1400m. She is a 3/4 sister to Stakes Winners ACCOMPLICE; GIVEN (Dam of GREEN ROLLER); QUARANTE LOVE, YOU’RE CANNY and 1/2 sister to Stakes Winners ALERT ME; TECHNIQUES. He’s a 3/4 brother to LADY CROMAC – 4 wins; and a 1/2 brother to Broad Shoulders - 3 wins; Berna - Winner (Dam of BIG ALLOY - 4 wins and dual Stakes Placed) and Bachro - Placed. Our newest addition to Team Dynamic will be heading into the stable of the PEOPLE’S TRAINER - RICHARD FREEDMAN. The Team at Dynamic believe it was destiny that we purchased such a Handsome Horse so there was never any doubt it should be in the care of the “Handsome Trainer”. Special mention goes to the wonderful thoroughbred nursery EDINBURGH PARK STUD owned by Ian Smith who produced such a top quality yearling. 100% clean on x-rays with a Grade 1 Videoscope, this colt is big, strong, well balanced individual. He’s very athletic with an excellent overstep and a loose, easy flowing action covering good ground. We didn’t believe the perfect horse was ever created ….. until now. Incredibly we secured him for just $55,000 + GST some $25,000 less than his anticipated market value and this saving will be reflected in his share sale price, once documents are created and submitted to Racing NSW as Lead Regulator and their Letter of Approval is received. Simply contact ADAM WATT at Dynamic Syndications to have a chat about this sensational son of SCISSOR KICK from MISS BAX. Adam can be reached on 02 9540 1511 or mobile 0418 220 569.